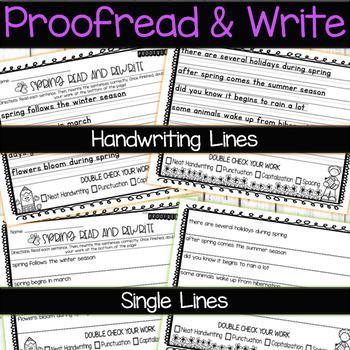 Spring Reading and Writing: Grab these THREE no prep sentence reading, writing, and comprehension pages! 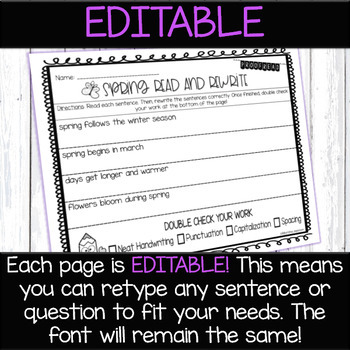 All pages include single lines AND handwriting line options. 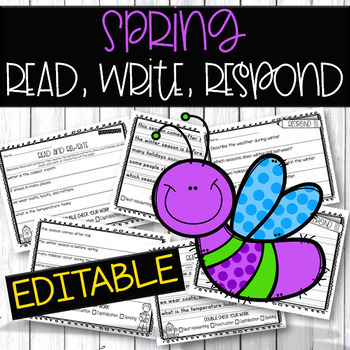 This is a perfect literacy activity to incorporate for spring! Students practice: writing conventions, phonological awareness, decoding skills, proofreading skills, and reading comprehension. Student reads prompted sentences. These sentences are missing capitalization and/or punctuation. Student rewrites the sentence correctly. 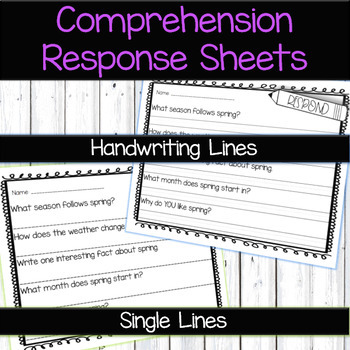 On the third page, students test their reading comprehension by answering 5 questions from the previous sheets.